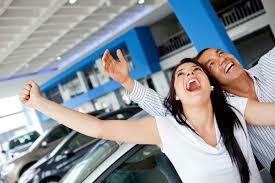 Insuring your car is without a doubt one of the costliest parts of motoring. However you can make savings when it comes to your car insurance just by following a few simple rules and using some common sense. Here are just some of the ways in which you can reduce your motor insurance premiums. Before you buy your new or second hand car then check out which insurance group it is the lower, the better and the prices of insurance premiums. The insurance will be based on the cost of the car, its safety record and the risk of theft that comes with the model. You may be surprised how much the premiums can vary simply by owning a car in a higher insurance group. The number one point – apart from buying a car in a low insurance group – to help save yourself some money is to shop around for your motor insurance. Simply by shopping around you can save yourself quite a bit of cash. Prices do vary widely from company to company so it is in your best interests to get at least three quotes, preferably more. You can do this online, quickly and easily. If your car is an older vehicle then consider reducing the type of cover you have for it. If it is worth less than 4000, Maybe just insure it as third party, fire and theft instead of fully comprehensive. This will lead to cheaper premiums. Some companies offer discounts to those motorists who keep their mileage down. If you don’t use your car a lot then consider going with such a company. If you have no claims bonus, this will attract a discount. And if you have taken extensive or advanced lessons in driving then ask about reductions for this. Many companies offer cheaper premiums for those with excellent diving records or additional motoring qualifications.